Discipline is optional on the seal, but it is most common to include it. Physical Stamps - 1 3/4"
The District of Columbia requires the professional engineer stamp to be 1 3/4 inches in diameter. 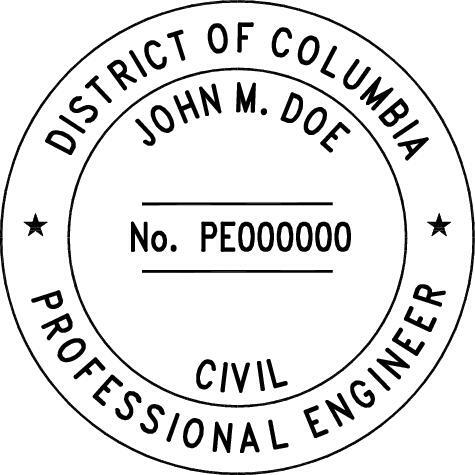 We offer the District of Columbia professional engineer stamp in one size; 1 3/4 inches. 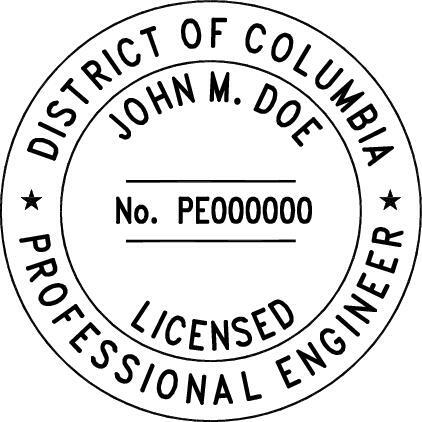 In case you have any questions on the District of Columbia professional engineer stamp requirements or any other regulatory questions, we have included the District of Columbia Engineer boards contact information below for your convenience.